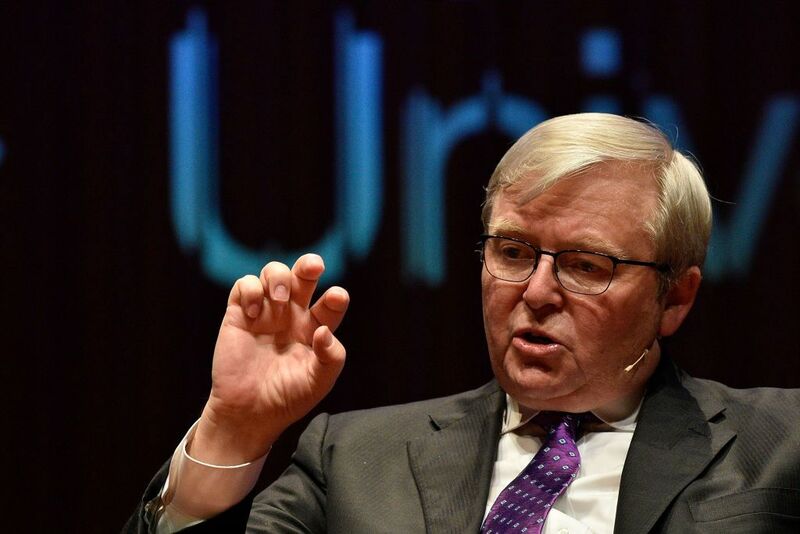 Australia’s former Prime Minister Kevin Rudd has warned that President Donald Trump’s signature negotiating style may create roadblocks to sealing a deal to end the ongoing trade war with China. “Trump, as we have seen throughout his business career and most recently in Hanoi, wants to do a large part of it himself in a final round of brinksmanship with his opposite number,” Rudd, who served as Australia’s prime minister from 2007 to 2010 and again for a few months in 2013, wrote in an op-ed published by the Asia Society Policy Institute on Monday. “Unfortunately for the Donald, the Chinese just don’t do it that way with their leaders,” he continued. “They will not risk a possible loss of face for their leader, whoever that may have been in the post-Deng period, by having him attend a high-profile summit with the President of the United States without everything beforehand being signed, sealed and delivered,” Rudd explained. Trump escalated trade tensions significantly with China last summer, adding tariffs to $50 billion in imports from the Asian superpower. Beijing quickly responded in kind, adding levies to an equal amount of U.S. products. The White House then took an even harsher position, adding import taxes to an additional $200 billion of Chinese goods. China then responded with new tariffs on an additional $60 billion of American goods. At the beginning of December, Trump and China’s President Xi Jinping agreed to a truce, as negotiators worked towards a new trade agreement. 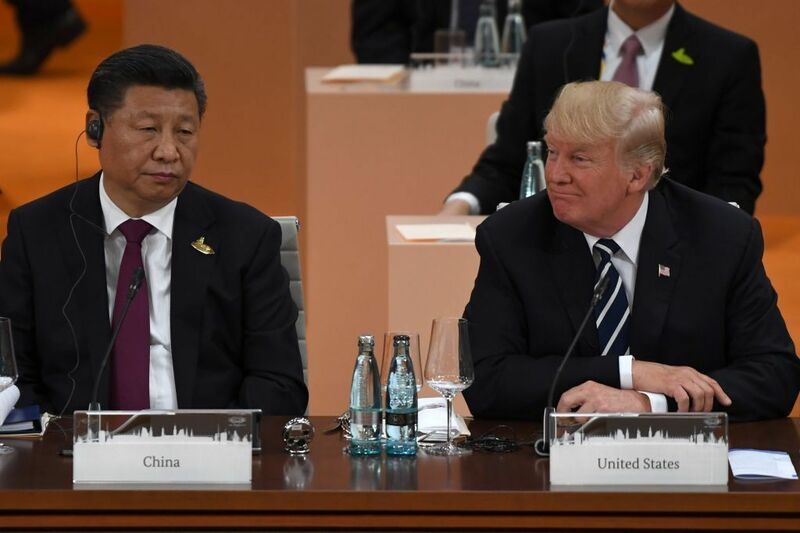 A new report commissioned by the U.S. Chamber of Commerce warned the trade war could cost the U.S. economy $1 trillion within the next decade if tensions continue to escalate, according to Hong Kong-based newspaper the South China Morning Post. “In the five years after tariffs are implemented, average annual U.S. GDP [gross domestic product] would fall U.S.$64 billion to U.S.$91 billion (0.3 per cent to 0.5 per cent) short of baseline potential,” the study said. Over a ten year period, GDP would be about $1 trillion lower than it would have been without the trade war. But the Australian politician argued that any deal will have to be entirely finalized before Xi will agree to meet with Trump. “That’s where the art of this particular deal will have to lie, whether President Trump likes it or not,” he wrote. Despite Trump’s insistence that his tariffs have raked in billions of dollars for the U.S. Treasury, analysts have pointed out that this money has come from U.S. consumers, not China. Overall, reports have shown that the U.S. economy has already lost billions of dollars due to the ongoing trade dispute. Even Gary Cohn, who previously served as an economic adviser to the president as the director of the National Economic Council, slammed the administration’s trade policies in an interview with Freakonomics radio last week. Previous articleReport- Which Teams Have Punched a Postseason Ticket?